Summer is in here and in full force! Today has been a dreary rainy day, so I felt inspired to post about something more summery rather than stare outside the gloomy window to see big dark and heavy rain clouds. So I had the great idea of sharing with you, some fabulous fragrance picks for the summer season. Now, some of these some of you may already know and hopefully we are on the same page. Daisy, Daisy, Daisy… I know most of you know about this one. Perfectly designed bottle that is just screaming for you to purchase it… if only just to stay on your dressing table.All in all the perfectly packaged gift. I chose the red bottle just because really. It does come in other colours, with the same beautiful scent. 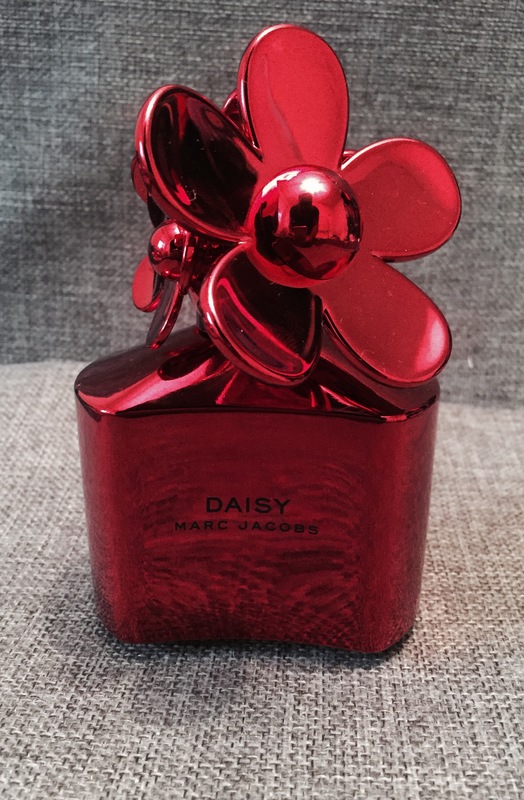 Marc Jacobs’ Daisy Shine Edition in Red, if a beautiful fragrance. It screams out femininity and grace and is indeed very fun and summery. It has feminine and carefree juice of wild strawberry and violet leaves in the top notes, a bouquet of jasmine and violet petals in the heart, and a delicious fusion of musk and vanilla in the base. It is distinct and definitely something everyone will notice and ask you about. This has been one of my all time favourites for a long time now. 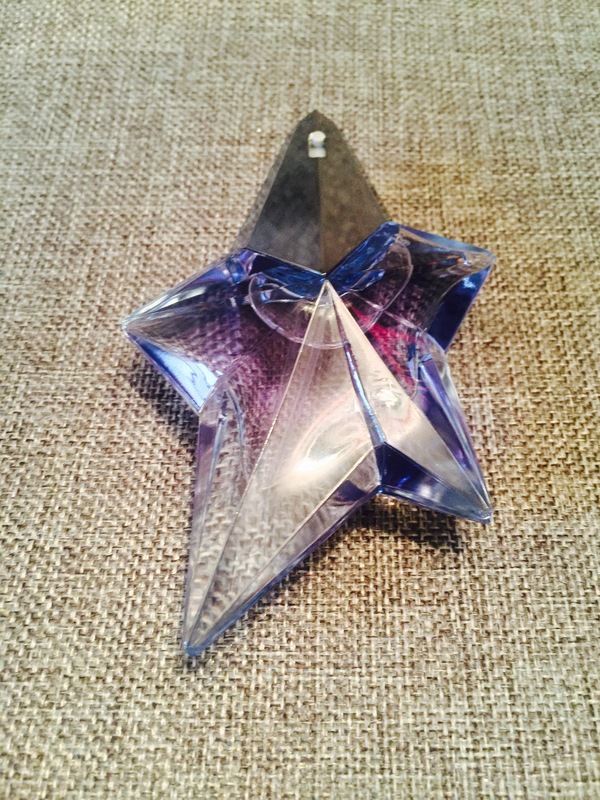 Thierry Mugler’s Angel is a rich and deliciously fruity and oriental fragrance and a firm favourite for quite a few people I know. Top notes include bergamot and helional, fruit and honey and a base notes include vanilla, chocolate, caramel and patchouli. With such a wide array of ingredients, you can not help but to be entranced by this scent and so will everyone else around you. Perfect for: Long summery nights or evening summer events. 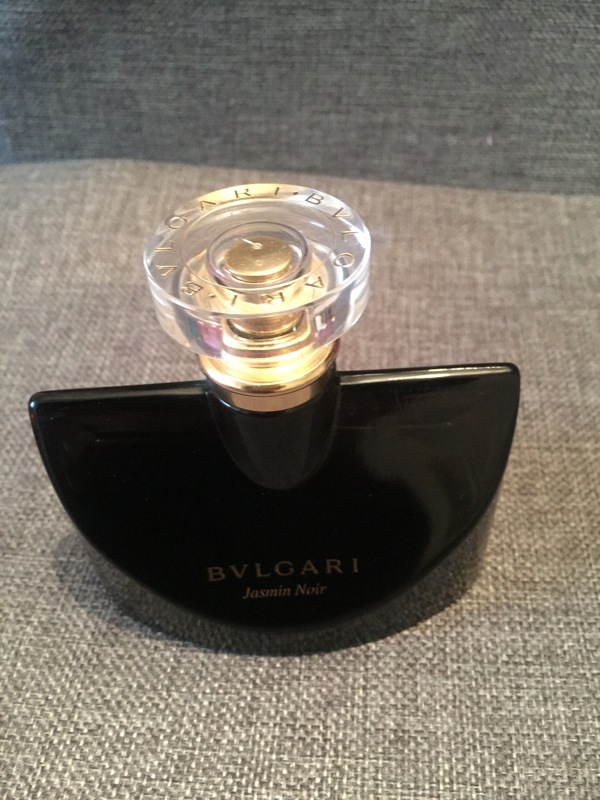 Finally, Bvlgari’s Jasmin Noir… this scent is striking and alluring at the same time. It’s woody and floral scent give you the perfect balance between maturity and sophistication and intrigue all at the same time. The central ingredient in this opulent fragrance is jasmine, but it does contain other base notes which include lotus flower, gardenia, green sap and gardenia petals. 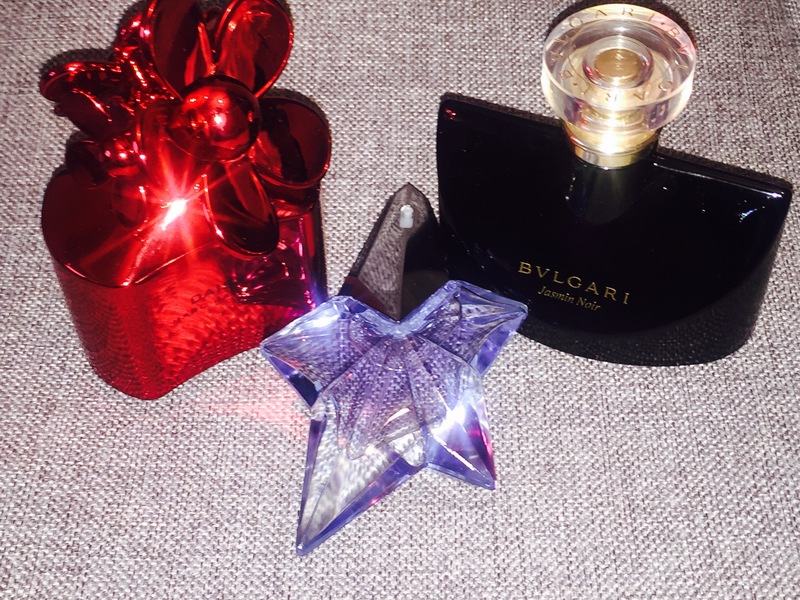 So there you have it, those are my three fragrances for summer. What are your staple summer fragrances? Please let me know in the comments section.